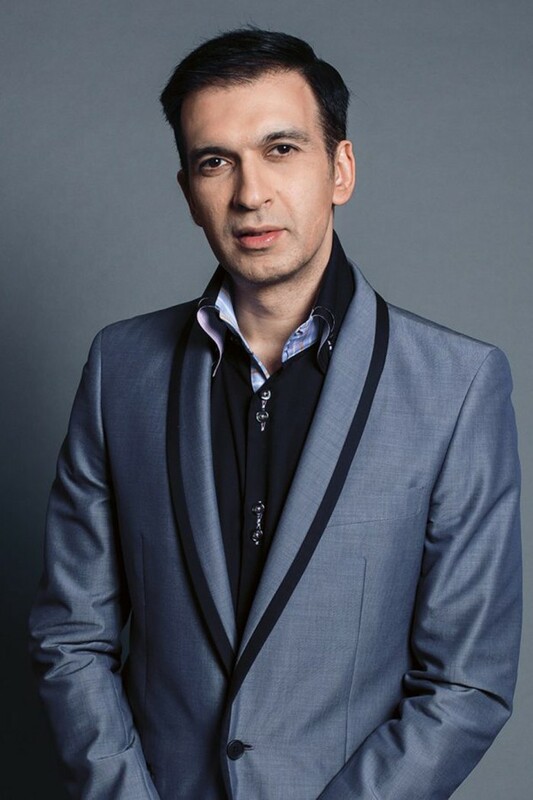 Manoj Punjabi is a Television and Film Producer in Indonesia. Born in Jakarta, on December 7, 1972, Manoj now leads one of the biggest production houses in Indonesia, MD Entertainment. Even as a young boy, Manoj always loved films. Becoming a producer and working in the film industry has been his obsession since childhood. It is no wonder that his business has and continues to grow rapidly, because everything he does, he does with passion. Since the day he established MD Entertainment, Manoj has been dedicated to give nothing but the best for Indonesia?s television industry. He set clear concepts and goals since the start and until now, he continues to grow a strong brand image within the television industry. Iconic shows such as Cinta Fitri changed the Indonesian television landscape. As such, he has gain various achievements over the past decade; Panasonic awards, SCTV Awards, Indonesia Movie Awards, Yahoo OMG Awards and many other Not limiting himself to the television industry, Manoj also spreads his wings to the film industry. He sees the film industry as a huge opportunity and potential for his business. MD Pictures proudly presented Ayat-Ayat Cinta in 2008 and Habbie & Ainun in 2013 ? 2 of Indonesia?s top 3 motion pictures of all time. The latter, Habbie & Ainun, maintains the number one box-office record at 4.7 million viewers to date. In running his production house, Manoj always observes the market. What are the trends right now? What does the market need? He always tries to think out of the box and bring forth innovation. Becoming a trendsetter and always providing break-trough?s is his main goal. Now, MD Entertainment has entered its tenth year. Manoj is hard work, patience and dedication has brought MD Entertainment where it is today. In running his business, Manoj always thinks far ahead. To Manoj, businesses are like buildings. When constructing a 20-story building, you have to make preparation as if you are constructing a 30-story building. Since the start, the foundation needs to be strong, so when you decide to expand, it will be easier. However, control and supervision should never be forgotten. Manoj is hard work for ten years does bear fruit. Numerous films and soap operas produced by MD Entertainment are proven to be always successful and popular among viewers in Indonesia. Not to mention now MD Corp, the umbrella to many of the leading companies in the entertainment industry; MD Entertainment, MD Pictures, MD Graha Persada, MD Place, MD Studios, MD Music, and MD Animation.